The United States Coast Guard is the police force of the United States Coast keeping the maritime law enforcement protecting our borders from foreign threats. Show your pride in the US Coast Guard and the service you or a family member gave to our country. These US Coast Guard rear window graphic murals are designed to celebrate the pride our veterans and active duty service members share. 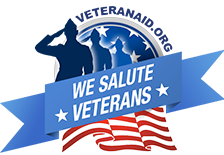 All these are custom sized rear window murals that will beautify your car or truck rear window, showing the world you have served and are proud of it. Want it to say something special about your service? Tell me what you want to say and I will create a custom rear window mural, just for you. My name is Phil Hulings. I am the owner and designer of rear window murals from www.CarCareColorado.com and I also serve veterans with www.Murals4Vets.com . Tell me what you want to create and lets make your pride show on the back window of your car or truck. Most of my custom designed rear window murals cost $ 189.99 for up to 24" high by 66" long, plus $ 18.00 S&H to any point in the USA. Request your quote for a custom truck or car rear window graphic mural .